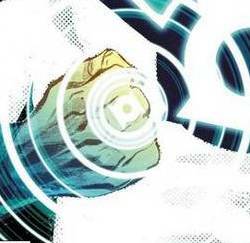 Home »Comics»Deadshirt Is Reading: Wolverine, Green Lantern and The Ultimates! Last year during Wolverine’s extremely long, drawn out death, with its multiple spin-off titles and hundreds of variant covers, I figured that if Logan did actually die (which, did he? 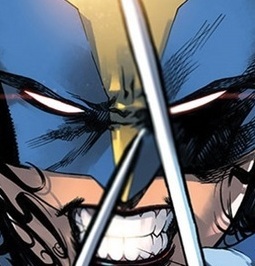 ), X-23 was the clear choice to take up the mantle, if taking up the mantle was a thing that needed to happen. After all, Laura is literally Logan’s clone and was trained by him more so than any of his natural children. Of all the outrage at Marvel’s recent recasting choices, this one actually took me by surprise because it seemed so obvious. After this premiere issue, however, it might be difficult for anyone to defend any lingering ire. With plenty of gratuitous violence, a bummer of a mission, and even a splash page SNIKT, All New Wolverine is as Wolverine a story as they come. In her new series, Laura teams up with her boyfriend, Angel (the time jumpy one) to fight some mysterious syndicate. There’s not much to discuss without giving anything away, but suffice it to say that the final pages have an upsetting reveal and a stoic reminder that the life of a Wolverine is pretty grim. Levity, however, is found in the dynamic between the two lovers, who have to communicate amidst a pretty intense battle without accidentally hurting each others’ feelings. David Lopez’s artwork, last seen in Captain Marvel and the Carol Corps, seems well-suited for ladies sporting rage faces. He’s got a knack for illustrating emotion, even with the heavy inks weighing down the panels at times, and in one flashback scene between Laura and Logan (a delicious callback to Kyle/Yost X-Force days), it was fun to watch the two of them shoot each other affectionately irritated looks while Laura holds her own intestines. Nathan Fairbairn’s color is vibrant despite this story mostly taking place in the dark, and the blue and yellow really pop on Wolverine’s costume, which, by the way, looks amazing on Laura. Tom Taylor has definitely marked all the checkboxes for a Wolverine story, but I look forward to seeing where he can take Laura in this series. Logan isn’t around to remind her that just because she’s the best at what she does, that doesn’t mean she has to do it. Along with her conflicting foundations with both the X-Men and her days as a child assassin, her story could easily become a dark one. In the meantime, it’s nice to see her find happiness with Angel and find the humor in getting shot in the face while trying to save people. Green Lantern hasn’t done much for me even before Geoff Johns’s initially bold, eventually kinda dull run wrapped up two years back. So I was pretty surprised to see that King and Shaner have put together a legitimately great Green Lantern comic in this unassuming tie-in to Johns’s current Justice League arc. The death of Darkseid at the hands of the Anti-Monitor (comics!) has unbalanced the natural order of the universe and created *Young Neil voice* new New Gods. Green Lantern Hal Jordan races to the Lantern homeworld of Oa after discovering that Darkseid’s rogue parademons have slaughtered his fellow Corps members and merged their dead master’s Motherbox with the all-powerful Central Battery. Hal, fighting his now-parademonized former comrades, finds himself once again presented with the temptation of total omnipotence. This is all cut between a flashback of a young Hal speaking with an unknown adult while lighting a candle for his recently killed father. Hal Jordan is a character that gets a lot of flack from comic readers I talk to, and not entirely without good cause. Johns pretty much displaced fan favorite Kyle Rayner with Green Lantern: Rebirth and there’s something to be said about a concept where our hero can be anyone that chooses to lead with a straight white guy. But I’ve always enjoyed Hal as DC’s version of James T. Kirk, especially in material like The New Frontier or Emerald Dawn. King really gets Hal here, and more importantly he does a better job of explaining the willpower component of the Green Lantern conceit than just about any comic I can think of. When Hal briefly accepts New Godhood, he discovers he can save his friends and even change the past so his father never died. But, as his ring tells him, it comes at a decidedly empty cost: godhood requires zero willpower. This is a story that pits Hal against a pretty novel problem, one that can’t be solved with a ring-generated boxing glove. Doc Shaner is a pretty unorthodox choice for Darkseid War: Green Lantern, given that a Shazam tie-in to the same event dropped the same day, but boy am I glad he was put on this comic. I’ve always loved Shaner’s clear, vaguely retro linework, and it’s perfectly suited to the script King’s written here. There are some really fantastic pages here, like Hal knocking out his mind-controlled friends with a pair of boxing gloves or the use of silhouette as the horde of parademons finally overpowers him. I’m not sure if Shaner designed Hal’s costume as “The God of Light,” but it’s gorgeous. If you’ve been left cold by DC’s increasingly convoluted space storylines lately, this is a pretty fantastic and totally accessible done-in-one. Here’s hoping DC puts this team on a Green Lantern ongoing ASAP. This is the book I was looking forward to maybe the most out of the All-New, All-Different line, as a lot of it seemed like a direct follow-up on Mighty Avengers. It is, and it isn’t, and there’s just a lot of interesting, mostly good stuff going on here. Ultimates follows the eponymous team, an Avengers subgroup proactively aimed at cosmic threats. It operates out of a Triskelion base and has a significant support staff, but that’s where the similarities to the alternate universe Avengers book it takes its name from end. This version is payrolled by Black Panther in a spirit of cooperation between nations, and seems to have Blue Marvel—a Superman pastiche superscientist—in the driver’s seat, in terms of missions. The team’s got a nice line-up and a cool mandate, and there are a lot of elements in play. 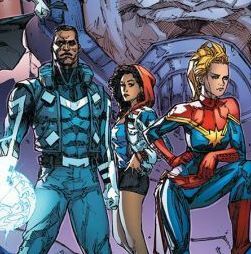 The book does follow the science-y plots of Mighty Avengers pretty well, and Rocafort’s new Blue Marvel design does a great job of signifying that he’s here full-time and ready to get his hands dirty. There’s a lot of good chemistry between the team, and Rocafort displays a dynamism and variety of body language that you don’t always get in these books. There’s some interesting background plots going on, with the ISO-8 stuff that’s been alluded to in various ways across Ewing’s three books, and sort of positioning the team as the inverse of the Marvel Illuminati was cool. My one complaint with this book is that it doesn’t quite differentiate itself from New Avengers enough. Both are teams with high-tech bases and expensive bankrolling, and both are shown in medias res, split between away teams and mission control. Ultimates even has a bit with a team member explaining the mandate to an outside political figure, however briefly. I’m sure these similarities will either fade over the course of the first arcs or play into each other as a greater narrative, Hickman-style, but maybe opening with building the team might have been a better call here. Still, it’s a gorgeous team book by Al Ewing with a diverse, interesting roster, so it’s already a title I’m following for the long haul.